Zerzan: "The least pessimistic book I can recall reading"
“The least pessimistic book I can recall reading. It brings anarchist resistance and the spirit together in a very wide-ranging and powerful contribution”. This is the comment, in a recent article, from US anarchist writer John Zerzan on Paul Cudenec’s The Anarchist Revelation, published by Winter Oak Press. Zerzan is the influential author of Elements of Refusal, Future Primitive and Other Essays, Running on Emptiness, Against Civilization: Readings and Reflections and Twilight of the Machines. This positive international feedback to Cudenec’s work follows on from anarchist author Gabriel Kuhn’s review on the Alpine Anarchist site, in which he refers to it as “a daring journey through the history of ideas”. Kuhn, author of Life Under the Jolly Roger and Soccer vs the State, adds: “The book attempts no less than equipping contemporary anarchism with a footing that is often neglected: the transformation not only of society’s structures but also of people’s souls. 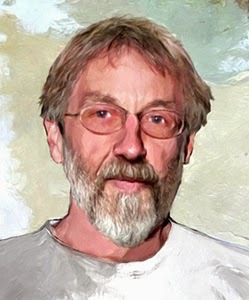 Peter Marshall, author of Demanding the Impossible: A History of Anarchism, has described Cudenec’s essay Antibodies as “very readable and profoundly thoughtful” and offering “many new insights on the destructive relationship between the greater part of humanity and the planet which tries to sustain them”. Paul Cudenec will be talking on The Anarchist Revelation at the London Anarchist Bookfair on Saturday October 19, at 5pm in room 3.20.